Teenagers can be super hard to buy gifts for. Especially teenage boys. But worry no longer! We’ve got you covered with some of the best DIY Gift Ideas out there for the teenagers in your life. Give something unique and fun! Who wouldn’t love that? 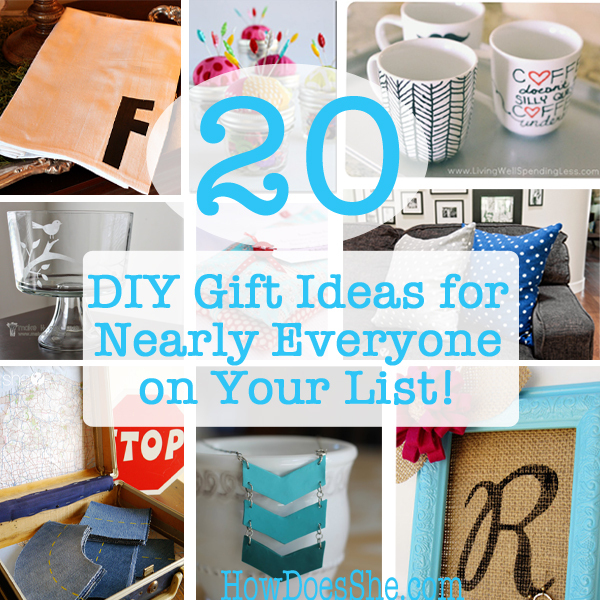 Get ready for 19 very cool DIY gift ideas for teenage boys in your life! 1. DIY PVC Bow and Arrow. Yep, I have one sitting here in my office as I type. It’s pretty cool and there’s even great step by step directions! 2. Make them a Skateboard Sling. Great tutorial! 3. Paracord Bracelets. Perfect for that nephew who has everything! AWESOME Tutorial! 4. T-shirt Quilt. Great way to save those old t-shirts from high school! 5. Or if you don’t have quite enough t-shirts for a quilt, make T-shirt Art with one or a few of their t-shirts! Perfect for their bedroom wall! Lucky Lollipops – a treat and money – sweet!! Wrapped over Candy Bars! My nephews would love this one! A Money Tree! Super cute and great directions. It will be a hit at any party! This Candy Jar has a great surprise in the middle! 11. I Love You Because Frame. Parents can leave notes all year long, the gift that keeps on giving! 12. Maybe turn his favorite Jersey into a Pillow? As long as he’s ok with it! Why does this one make me nervous although it’s very cool?! 13. Got a guy who’s a bit sentimental? This Wood Hanging Note Board will do the trick! 15. If you know how to crochet, there’s a ton of ideas here! 16. Marshmallow Gun is a ton of fun! You might want to make one for yourself too! 17. Bow Ties are super cool right now for teens. Learn how to make them from regular neckties. 18. Giant Floor Pillows. They can use them while watching their sports on TV. Very Cool. 19. Superhero Comic Book Magnets. Perfect for the comic-loving teen! Thanks to this list of DIY gift ideas for teenage boys, my son’s gift to his teenage cousin this year is going to be AWESOME! Hurray! Which is your favorite? The post 19 Very Cool DIY Gift Ideas for Teenage Boys appeared first on How Does She.